We've given a massive £43,209 to 123 organisations or communities in the local area. Here are some of our most recent donations. and fully running very soon! Sean Deboe runs Great Crosby Colts junior football club. equipment and to participate in more competitions. Jason Crescenti wants to support Woolton Air Cadets. help charities and community groups where they can. them to continue the great work they do. will help them buy training kit and equipment. 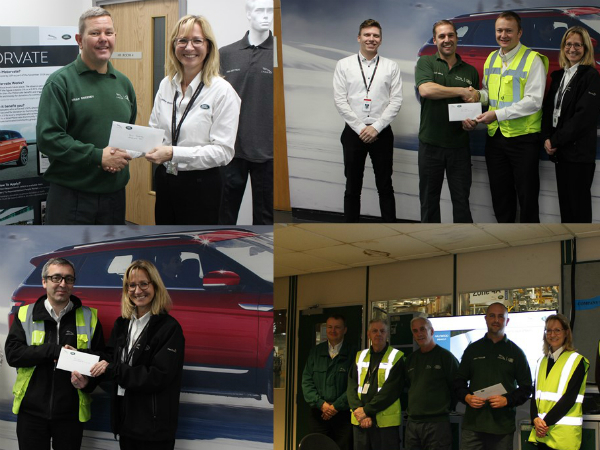 MOTORVATE funds are linked to JLR Attendance. We have failed to reach our attendance target for the last quarter and therefore our funds are reducing. We need good attendance to keep the donations to good causes going. Application forms are available in any People Centre. CHANNELS - Do you get news on a Digital Signage screen at work? Do you have a question about this Article? Holy Cross Go-kart track off to a great start! Jaguar Land Rover Limited registered office: Abbey Road, Whitley, Coventry, CV3 4LF. registered in England no: 1672070 Jaguar Land Rover is part of Tata Motors.